It’s that time of year again, I’m afraid. No, not back to school time, but rather “clean the black bananas out of your freezer time.”. 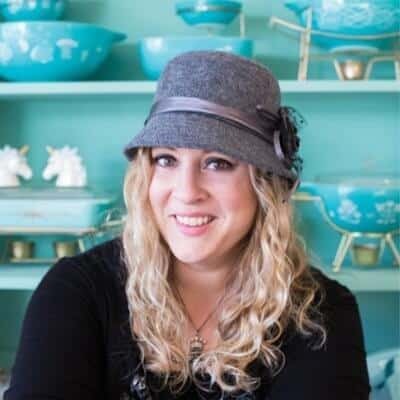 It’s always a spur of the moment thing for me, usually resulting from the frustration of trying to find something in my refrigerator freezer and ending up elbow deep in a pile of frozen bananas while searching for frozen chicken breasts or the like. It always seems like a good idea at the time, throwing your too-ripe bananas into the freezer…..until three months later when you have 5 lbs of frozen mush that you need to use up. I’m embarking on one heck of a delicious partnership this fall and winter. 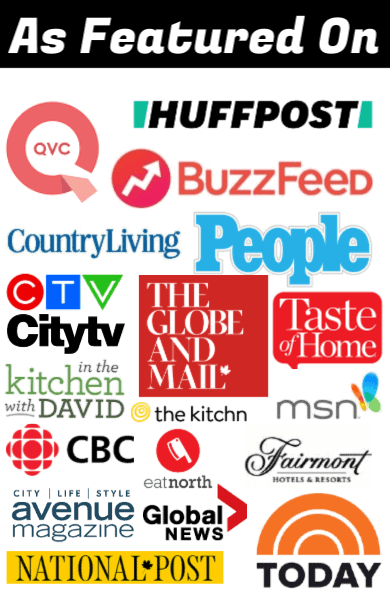 I’m taking part in Reese’s Golden Spoon Recipe Series, which in a nutshell means that I’m not only going to be making some decadent recipes for you to try out using Reese Spreads, but I’ll be sharing the work of other food bloggers, bring you even more deliciousness over the next few months! For my first recipe, it was alllll about using up those freezer bananas. Banana, chocolate and peanut butter go together like cookies and milk; there’s just no better pairing out there. 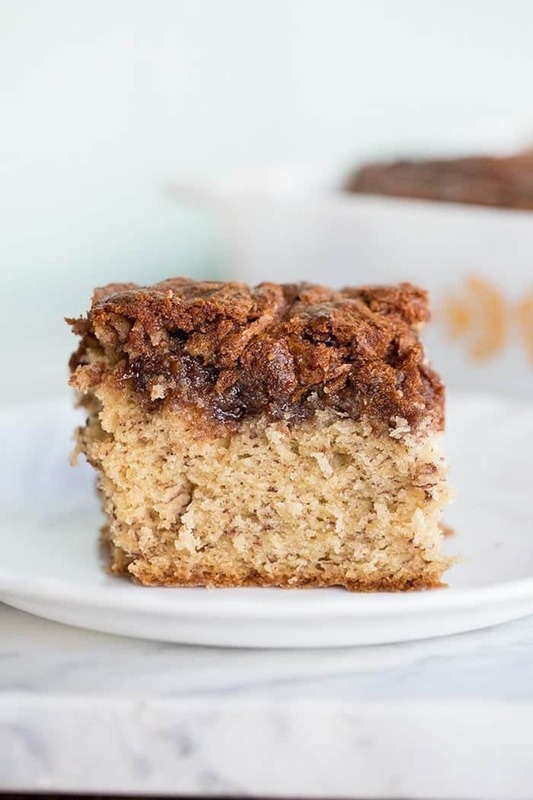 This recipe makes one decadent 8×8 square cake and is easy as the proverbial pie. 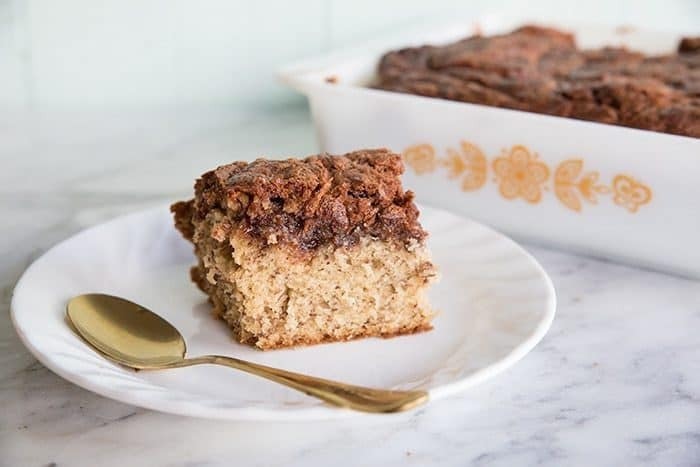 You can use your favourite banana bread recipe instead, actually, because the real magic happens when you take 1/2 cup of Reese Spreads and swirl it all through the top of the cake. Look at what this bakes into. Are you drooling yet? 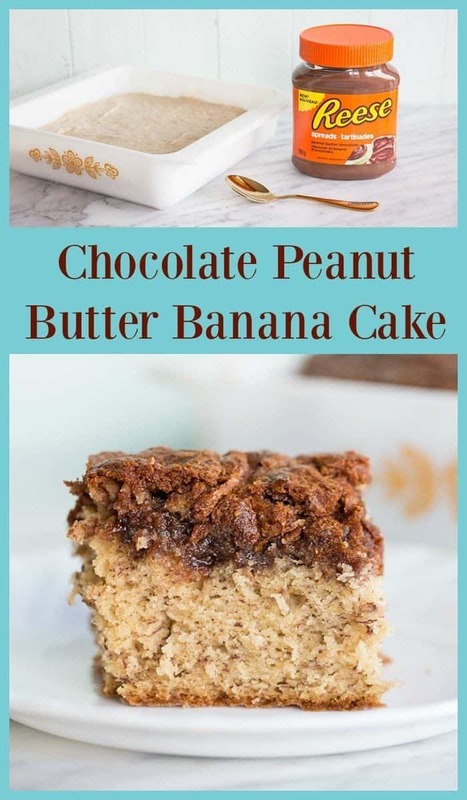 Mouthwatering banana cake topped with an ooey gooey chocolate peanut butter mixture that has just a little bit of crunch on the top. This is pretty much baking Nirvana right here, folks. 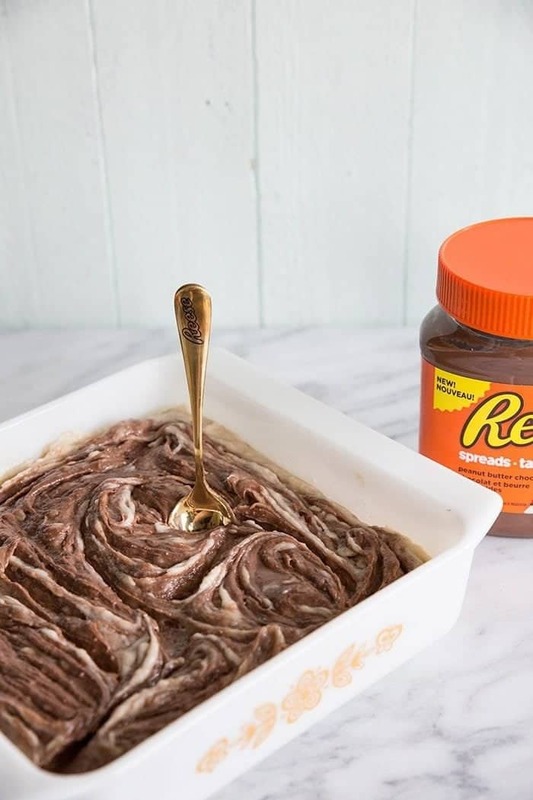 So next time you are looking to use up those freezer bananas, grab yourself a jar of Reese Spreads and have a little peanut butter chocolate fun! You could use it on any cake or loaf that you think pairs with chocolate and peanut butter, and let’s be honest : what doesn’t pair with chocolate and peanut butter? Decadent banana cake with a delicious REESE Spread peanut butter chocolate topping! Grease and flour an 8x8 baking pan; set aside. Using a hand mixer or a stand mixer with the beater attachments, beat the butter and white sugar until light and fluffy. Add in the eggs, one at a time, beating thoroughly after each. Mix in the bananas. Whisk together the dry ingredients, then bet into the banana mixture until thoroughly combined. Pour into the prepared pan, spread evenly throughout the pan. 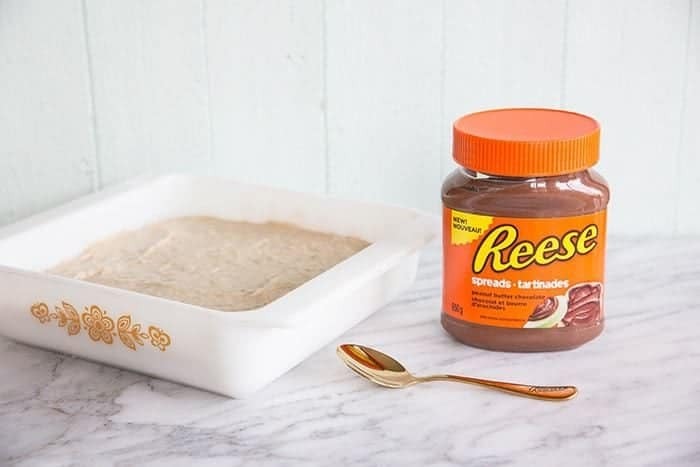 Warm up the 1/1 cup of REESE Spreads slightly, then pour over the top of the cake. Use a spoon or knife to swirl through the top and about 1/4 of the way into the batter. Remove from the oven, cool and serve!